QUALITY OF LIFE IN PATIENTS PRESENTING WITH ACNE. Naima Luqman Bahawal Victoria Hospital, Bahawalpur. Summaira Hassan Bahawal Victoria Hospital, Bahawalpur. Niaz Maqsood Bahawal Victoria Hospital, Bahawalpur. Wajid Ali Akhunzada Hayatabad Medical Complex, Hayatabad Peshawar. Objectives: To determine the impact of acne on the quality of life of the patients. Study Design: A descriptive study. 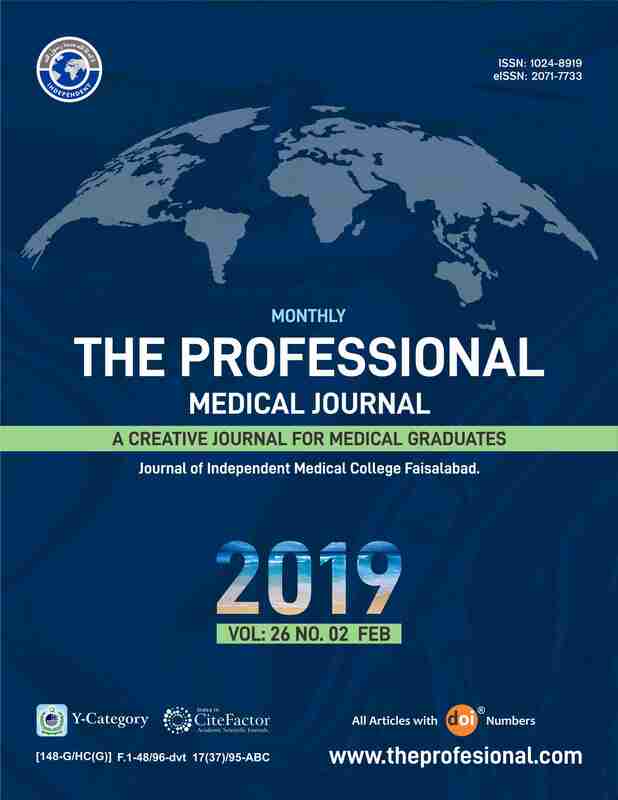 Place & Duration of Study: The study was conducted in the Department of Dermatology, Bahawal Victoria Hospital & Quaid-e-Azam Medical College, Bahawalpur April, 2017 to June, 2017. Subjects & Methods: The sample consisted of 50 out-patients (41 Females, 9 Males) with Acne. They were interviewed and results were analysed from the entries in a Performa. Dermatology Life Quality Index (DLQI) was administered as outcome measure. Results: Among 50 patients, there were 41(82%) were female, 27(54%) were 21-25 years age group, 44(88%) belonged to urban area, 28(56%) single and 25(50%) students. In assessing the quality of life, 34(68%) patients had extremely large impact on their quality of life after Acne. Conclusions: We concluded that acne had an extremely large impact on quality of life of majority of patients. Management of acne must include the impact of acne on the patient's quality of life. Naima Luqman, Bahawal Victoria Hospital, Bahawalpur. Summaira Hassan, Bahawal Victoria Hospital, Bahawalpur. Niaz Maqsood, Bahawal Victoria Hospital, Bahawalpur. Wajid Ali Akhunzada, Hayatabad Medical Complex, Hayatabad Peshawar.